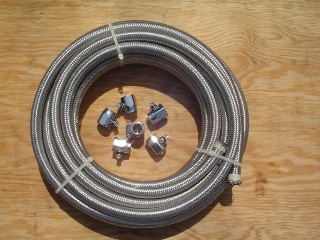 One roll - 25 feet of 3/8" stainless steel braided oil line. Included are 6 chrome hose clamps. Additional packages of 6 clamps can be selected from the option menu below.